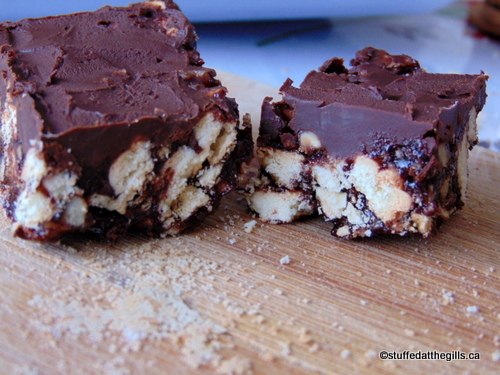 Here's a quick little no-bake cookie square that comes together in just a few minutes. Topped with melted chocolate they will be a favourite of any chocolate loving fan. 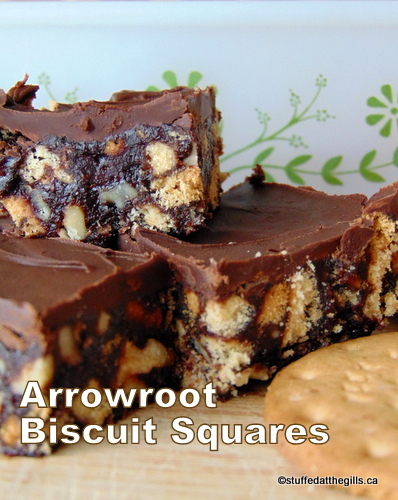 I found myself with several boxes of sweet biscuits left over from Christmas and decided to make these Arrowroot Biscuit Squares. They are similar to Prince William's groom's cake or the Australian Hedgehog Slice. 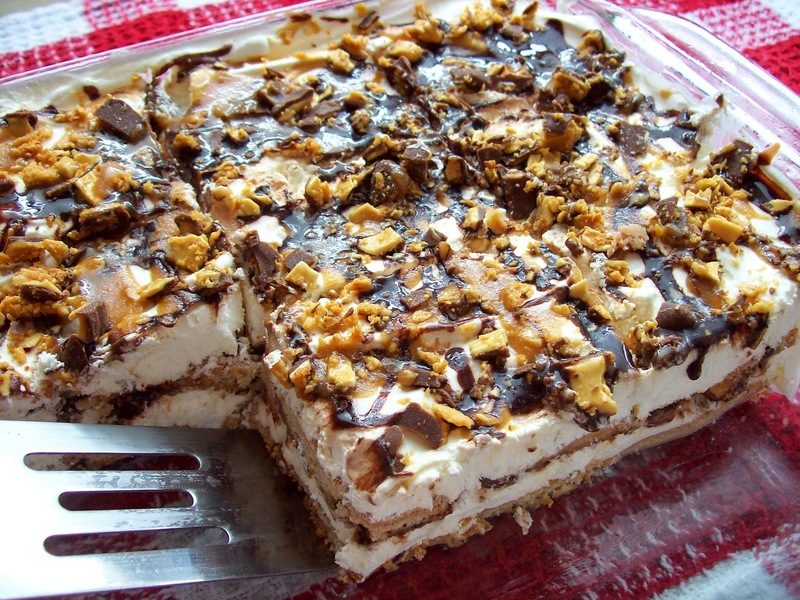 The best thing about these squares, apart from being a no-bake cookie, is that they can be made with a variety of biscuits/cookies. Any plain sweet biscuit or even (I think) shortbread cookies can be used in place of the Arrowroot biscuits. Beat eggs well. 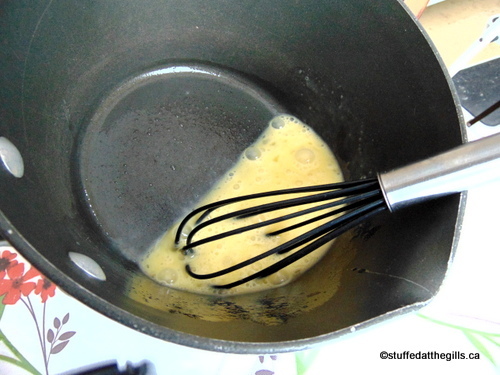 Place eggs in saucepan (or top of double boiler). Add the butter, cocoa and sugar. 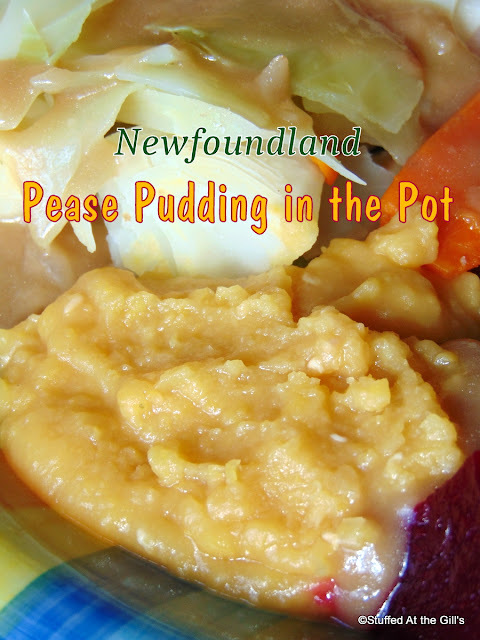 Over low heat, stir until hot and beginning to thicken. If you have a candy thermometer bring the mixture to 160 degrees F. This will ensure the eggs are pasteurized and are not dangerous to small children. Remove from heat. Crush 25 of the biscuits into small pieces. You should have pieces and crumbs. 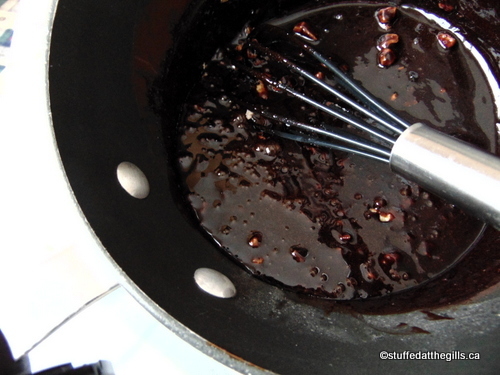 Add to the chocolate mixture along with the toasted nuts. 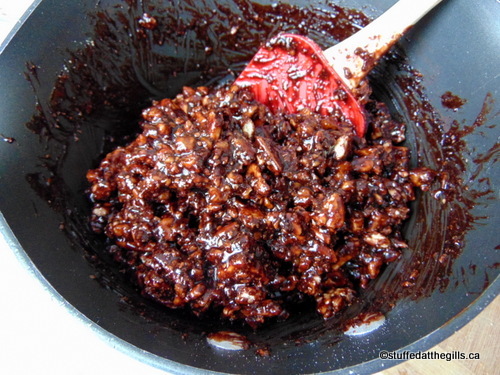 Stir until everything is coated in the chocolate mixture. Add more broken biscuits if the mixture seems runny. 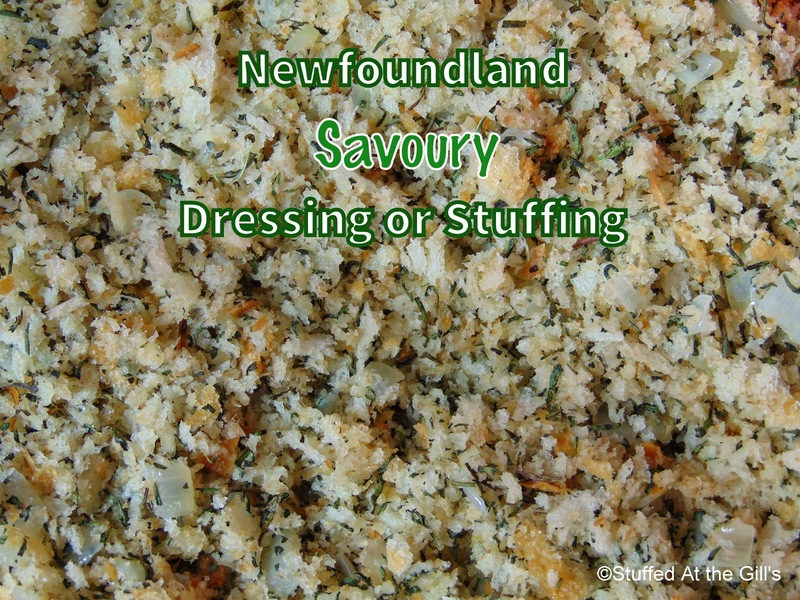 Press into a greased or parchment paper lined 8-inch square baking pan. 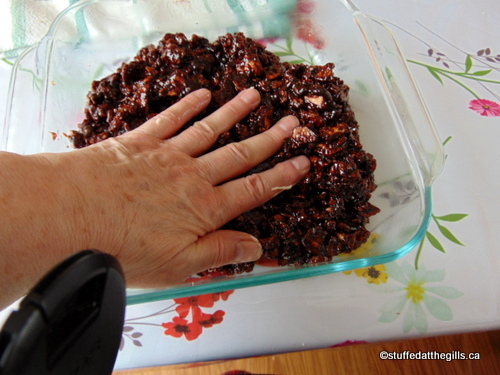 Melt the chocolate chips and 2 tablespoons butter together over low heat or in 30 seconds intervals in the microwave. Stir until blended together. Spread over the cookie mixture. Refrigerate until chilled. To serve cut into squares. 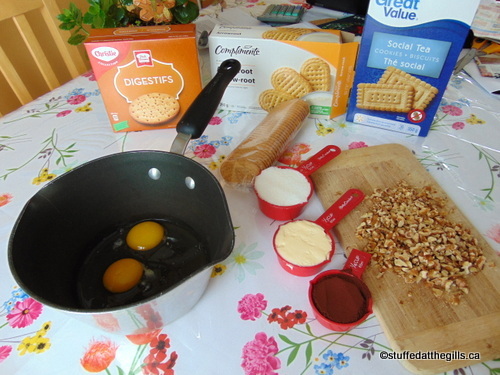 Ingredients lined up to make Arrowroot Biscuit Squares. 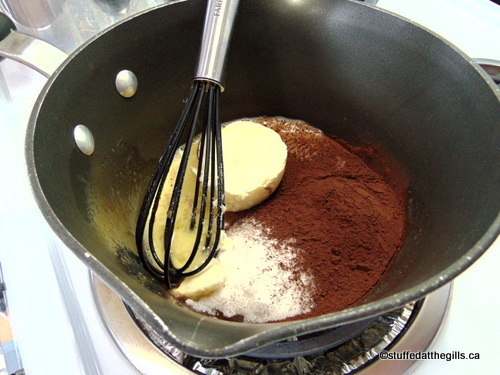 Add the butter, sugar and cocoa and mix together over low heat. Stir and cook until hot and starting to get thick. On the left Arrowroot Biscuits and on the right Digestive Biscuits. 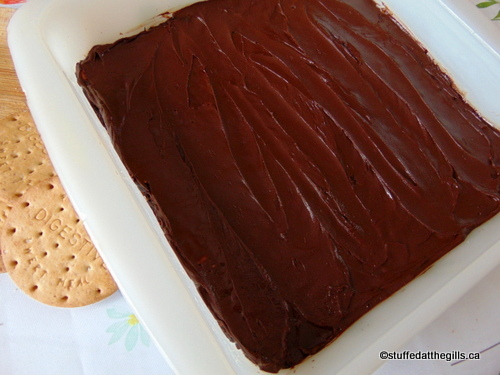 Both make excellent squares. 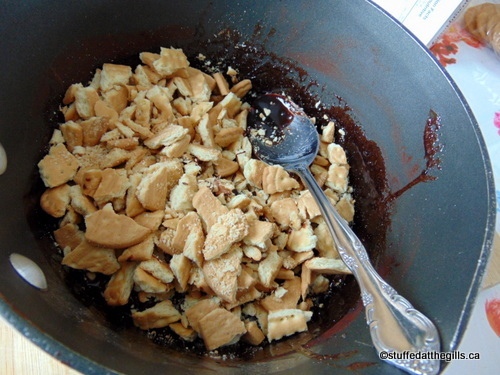 Add the toasted nuts and crushed biscuits to the chocolate mixture. Mix everything together until all combined. 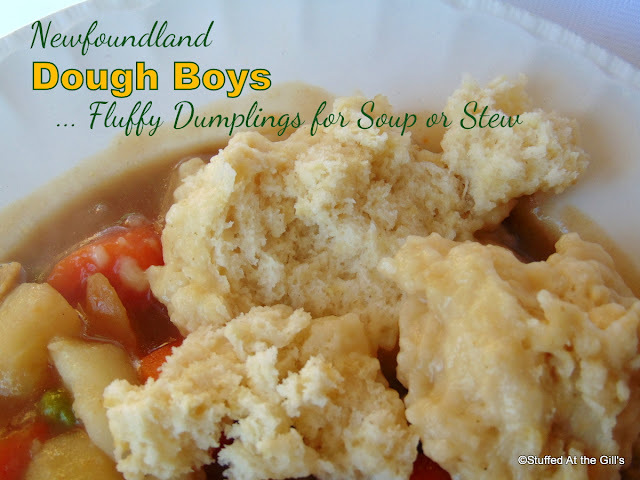 If the mixture seems too runny add a few more crushed biscuits. 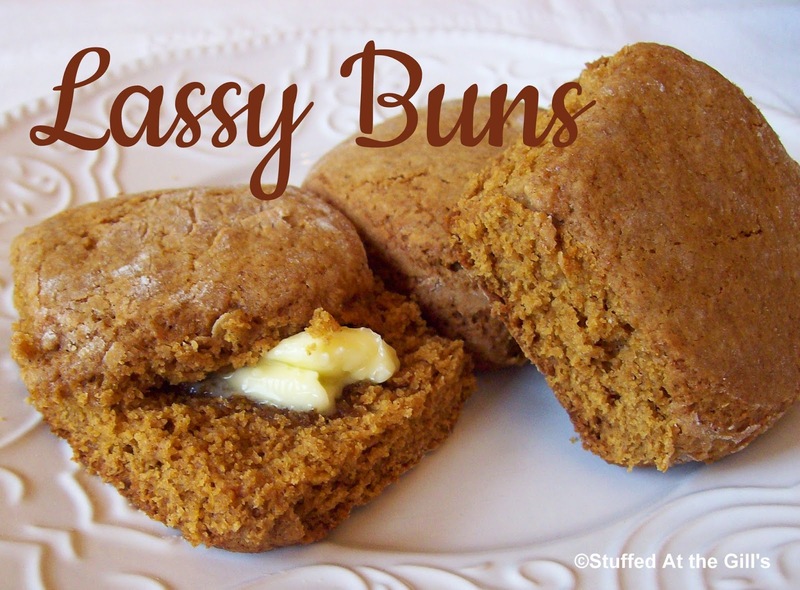 Press the mixture into a greased or parchment lined 8-inch square baking pan. 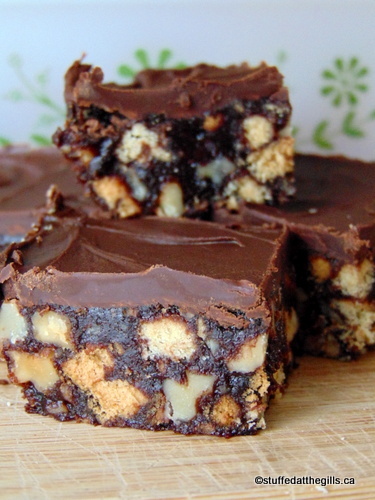 Spread the squares with the melted chocolate chips and butter. Let set in refrigerator until chilled. Arrowroot Biscuit Squares taste just as good made with Digestive biscuits. A tasty treat anytime.